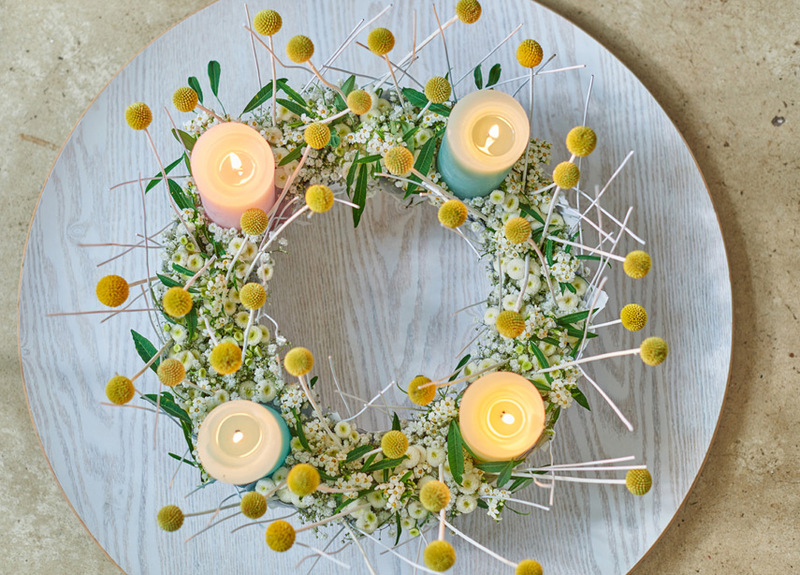 December has kicked off and the festive season is in full swing. Some among us (the early birds) may have finished their festive decoration at home, others may be in the middle of it and again some are setting up the Christmas decor a tad later. 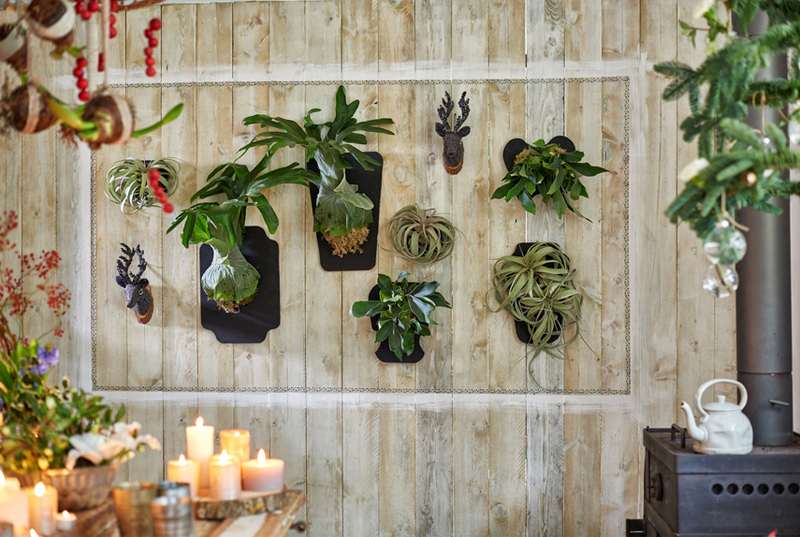 No matter to which group you belong, we thought it is a good idea to share a few festive decor ideas with plants for Urban Jungle Bloggers. 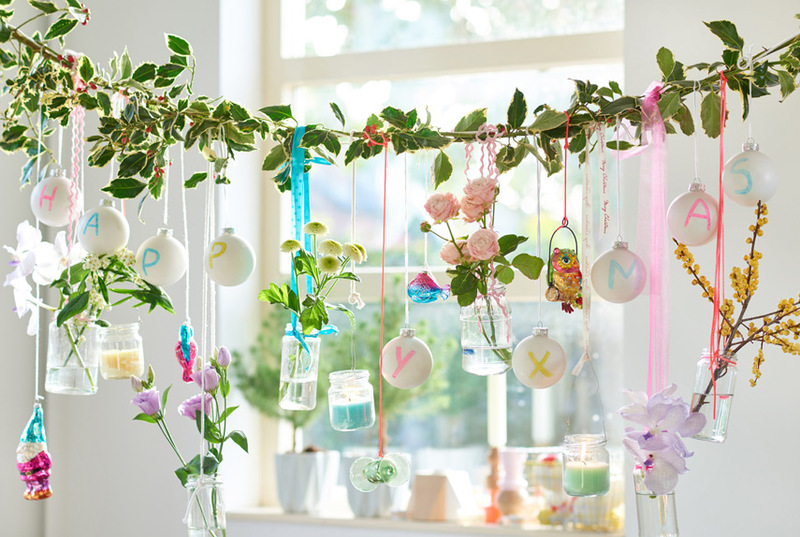 HAPPY LIFE: The first decor idea with plants is called ‘Happy Life’ and is perfect for the playful and colour loving Urban Jungle Bloggers among us. 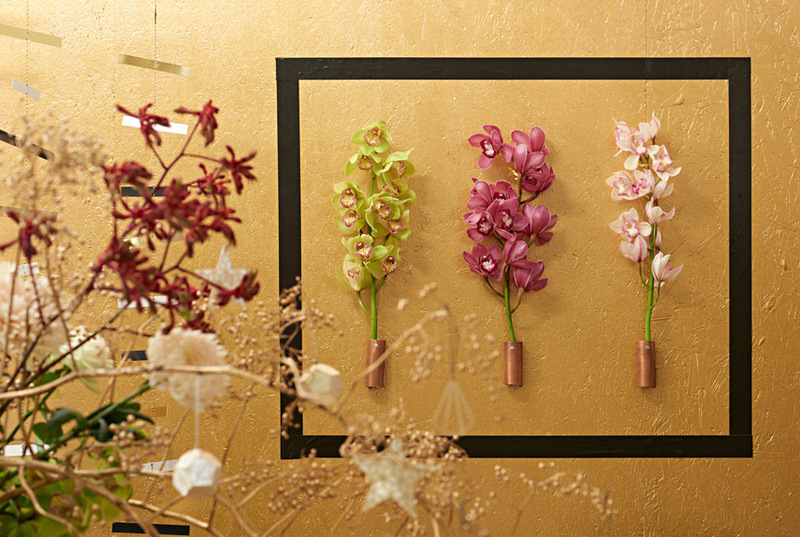 Using blooming plants, Hyacinths, Poinsettias, orchids and lilies in fun ways is the focus here. 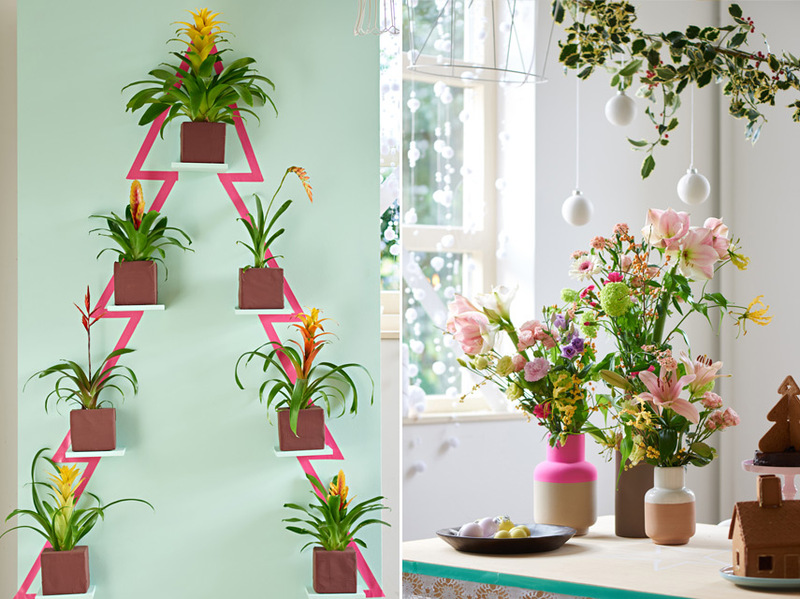 Think of fun DIY ways to interpret your plants like old lampshades or why not creating a Christmas tree with washi tape and adorning it with cheerful bromeliads? Here is the DIY instruction if you want to try it! 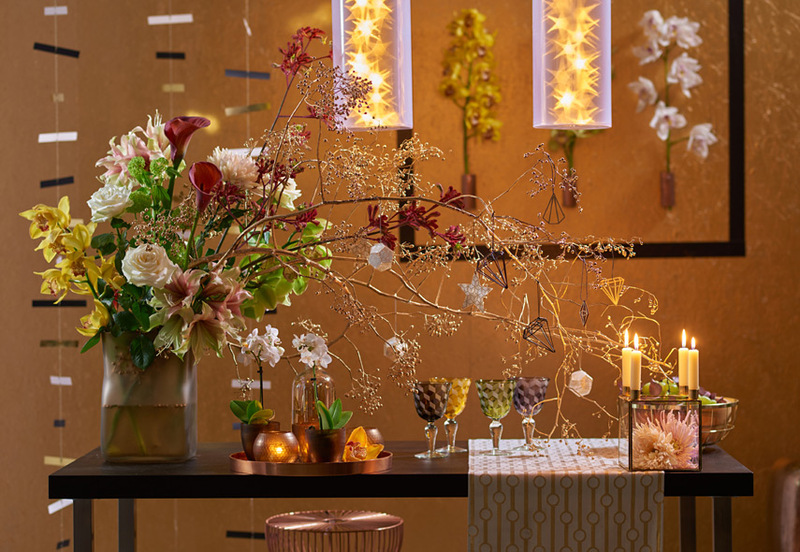 ECO LUXE: Festive seasons are a good excuse to go bold – with luxurious and lush textures, gold, shiny surfaces, glitz and glam. 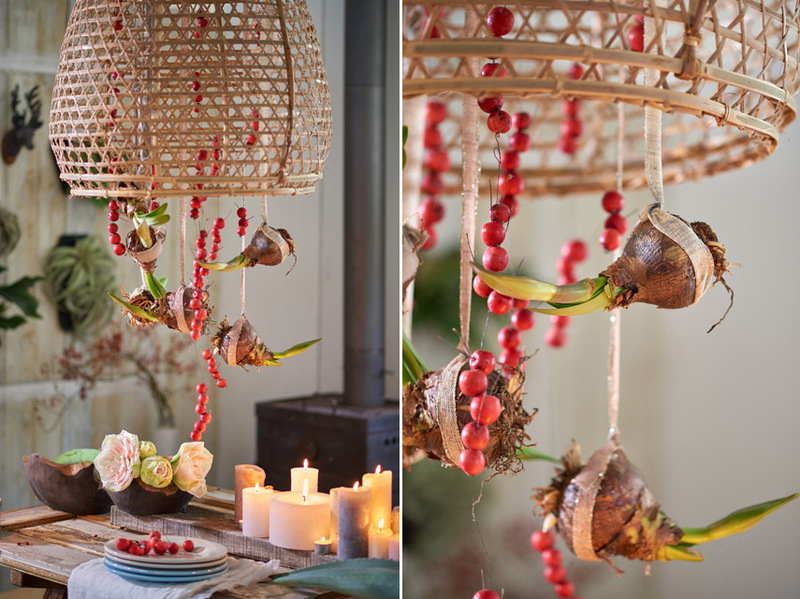 Those of you who love luxurious glam for Christmas might fall for the decor idea entitled “Eco Luxe”. 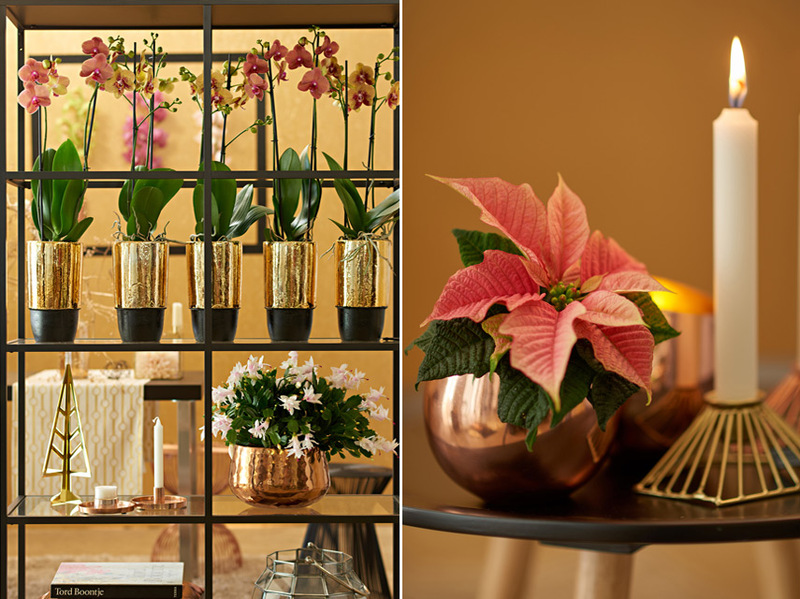 Lush orchids or blooming Christmas cacti are clad in shiny plant pots with shimmering gold tones, copper and brass hues, silver finishings and more. 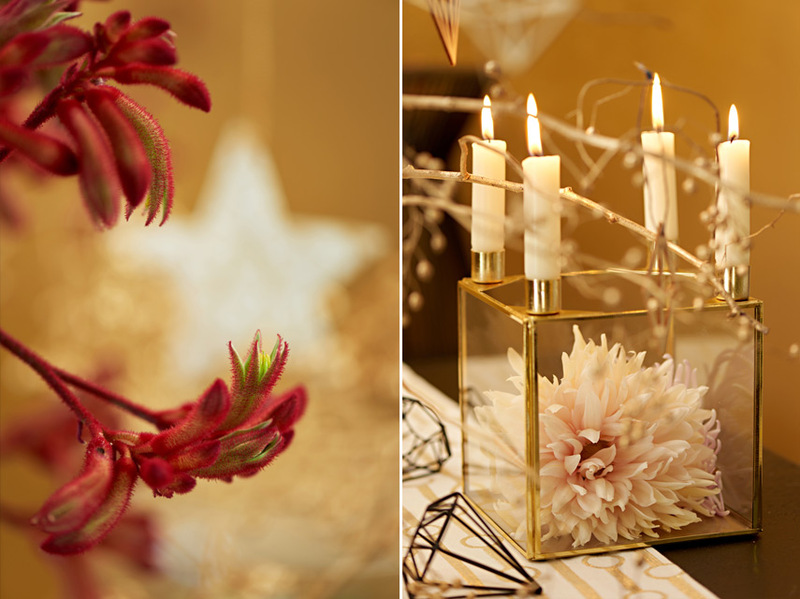 Combine your plants with shiny candleholders, include them in your festive table top styling and you’re set for a very glamorous Christmas feast! 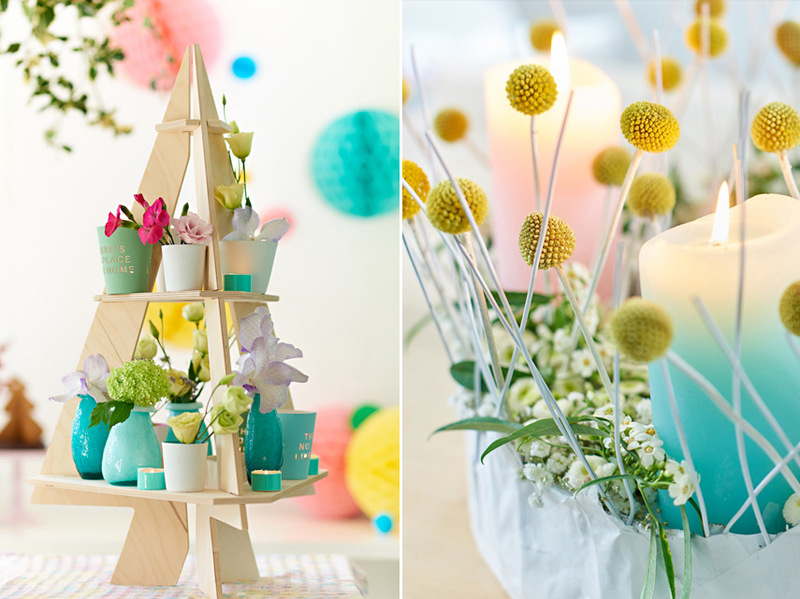 UNEXPECTED WILD: The adventurous, the free spirits among us, the bohemians, the globetrotters, you all will love the third decor idea named ‘Unexpected Wild’. 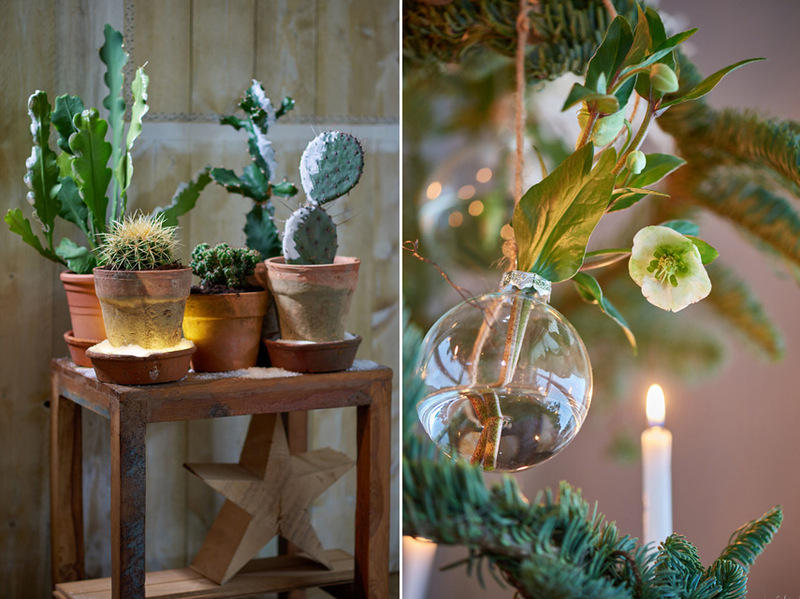 Interpret your plants in unexpected ways and places to achieve a easy-going, natural look for the festive season. 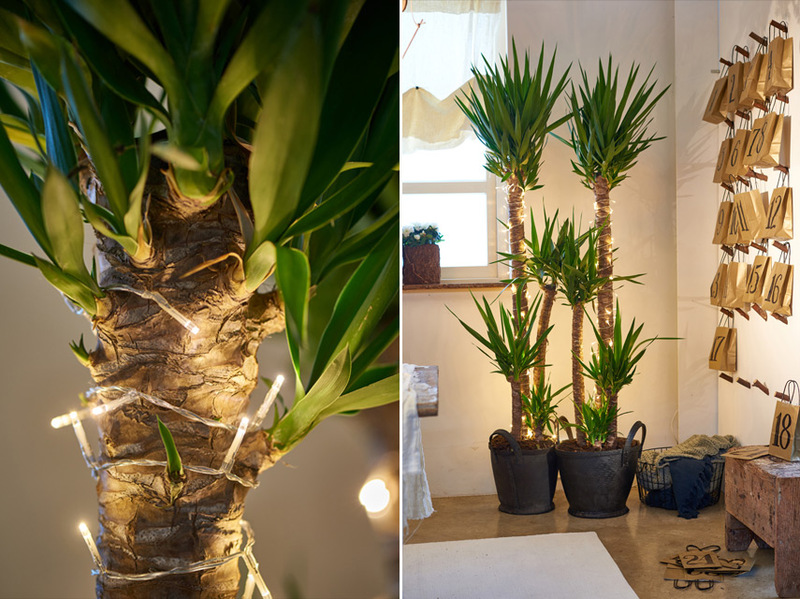 Think of hanging Hyacinth bulbs instead of regular Christmas baubles on the tree, create a festive air plant wall installation, adorn your cacti and palm trees with string lights, wrap your leafy friends in paper bags, leather, and other natural materials to get that touch of “wild nature” into your home. Our secret favorite! 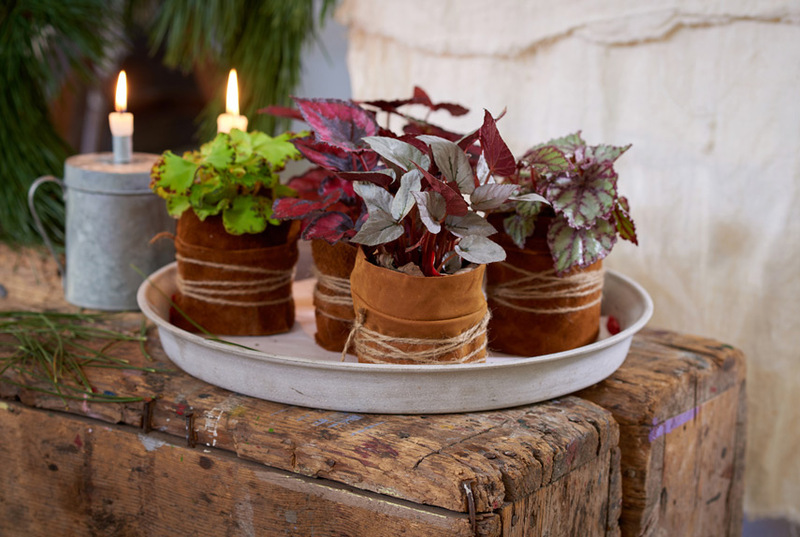 Will you be decorating with plants this festive season? 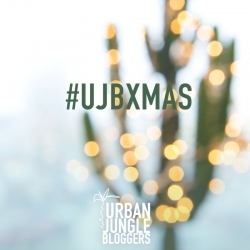 Surprise us with festive decor ideas with plants on Instagram using the hashtags #ujbxmas and #urbanjunglebloggers. We will choose a weekly winner that will be featured exclusively on our blog! We are looking forward to more inspiration! Happy December, friends.